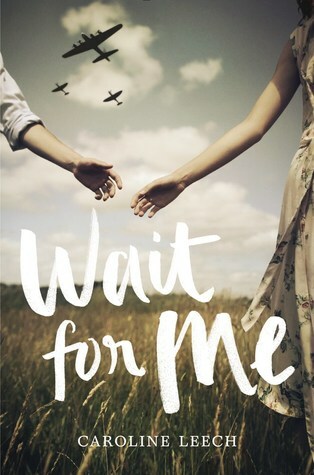 Wait for Me is a story about a small Scottish town that is experiencing the effects of World War II. The story takes place right before the wars official end. There were so many different things I liked. I really enjoyed Lorna’s father. He is a strong and gruff man on the outside but extremely kind hearted. He reminded me of my dad and so I think that strengthened my bond to him. I like how he is quiet strength for Lorna. I really liked the trials and tribulations of Lorna and Iris’s friendship. When you are young and you meet that first love of your life, sometimes you get lost in it. I was so mad at Iris at times but that is just what happens to friends. You always find your way back to each other. I did enjoy the romance of Lorna and the POW Paul. It developed naturally and I thought the author note about these kind of relationships added to it. I like the idea of two people finding one another in the worst of circumstances but still forming a bond. I also liked that Paul is scarred. That sounds strange but I get tired of the flawless people in stories. Especially stories about war, this is what happens. People are injured and broken and have to find their way out of that. Although Lorna’s brothers are not in the story for a long period of time. I liked how they both have different war experiences and how it affects them. Also Mrs. Murray is great character too to have, showing a mother’s grief at having your son be off at war. I would imagine it’s difficult to never know if you are going to lose someone. The emotions that run high with John Jo I thought showed that well. I enjoyed the pacing of the book, there was a point that I was concerned I was about to hit a lull but it picked right back up.